The Canadian plastics industry aims to make all plastic packaging recyclable or 'recoverable' by 2030 and actually diverted from landfill by 2040. 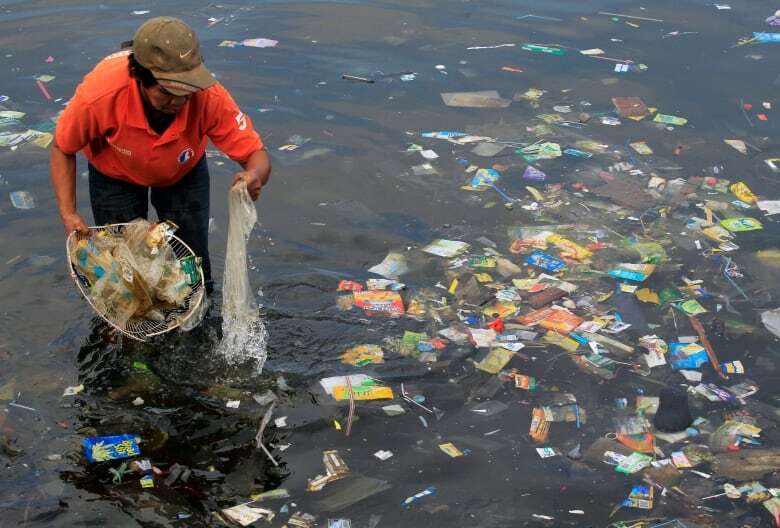 Meanwhile, environmental groups say they want to eliminate litter from single-use plastics like bags, bottles and cutlery by 2025. 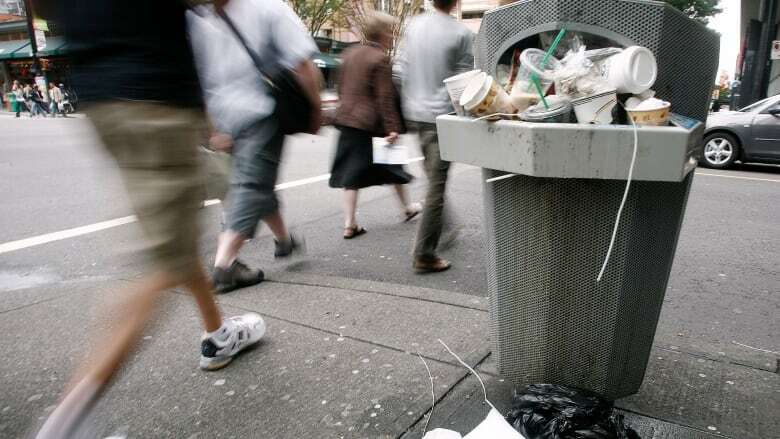 That was one of a dozen national policies suggested in the "Towards a Zero Plastic Waste Canada" declaration released by Environmental Defence, the David Suzuki Foundation, the Canadian Environmental Law Association, the Broadbent Institute and dozens of others. Both announcements come ahead of World Environment Day on Tuesday and the G7 summit in Charlevoix, Que., Friday and Saturday. Canada has indicated that it will use its G7 presidency to push an international zero-plastics-waste charter. 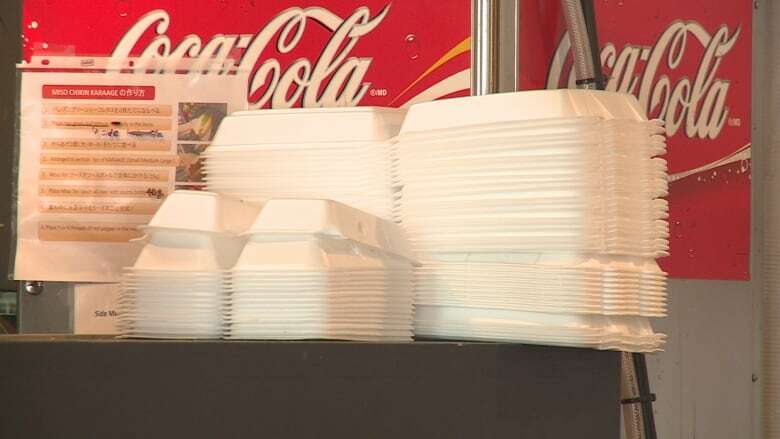 But it is also expected to commit to a national plastics strategy, said Ashley Wallis, plastics program manager for Environmental Defence. "While there's no doubt we need co-ordinated international efforts to eliminate the flow of plastics into our ocean, we need to make sure we do our part at home," she added. "We're trying to provide a bit of an expectations document for what we hope to see in a national plastics strategy hopefully later this year." According to Environment and Climate Change Canada, less than 11 per cent of plastics are currently recycled in Canada — only slightly better than the international average of nine per cent. 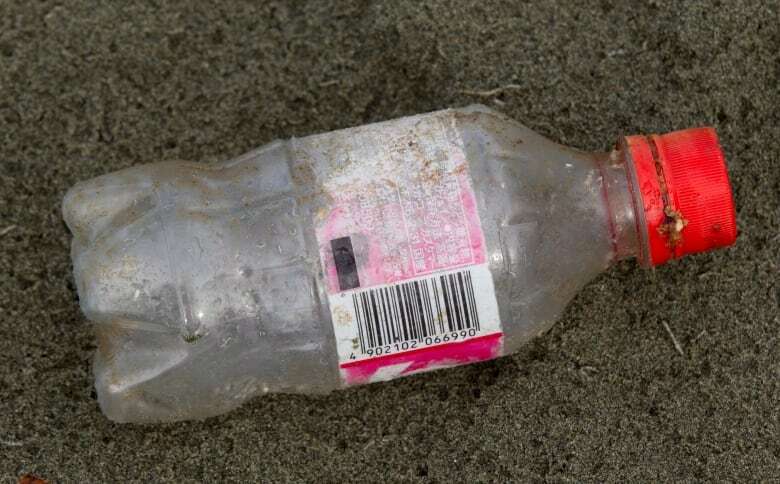 The statistics were posted in April on a website soliciting ideas from Canadians on how to reduce marine litter. Wallis said single-use plastics are particularly problematic, because of the huge scale on which they are produced and how quickly they go from use to disposal. That's something acknowledged by Carol Hochu, chief executive of the Canadian Plastics Industry Association. "It is a waste of precious resources for plastics to be used once and then landfilled," she said in a statement accompanying the announcement of the industry's new waste reduction targets. Banning hard-to-recycle plastics and harmful additives. Wallis gave the examples of PVC, which is commonly used in pipes for water and gas and construction materials and contains chlorine, and styrofoam, which Wallace calls "quite challenging to recycle in an efficient or economically viable way." Establishing standards to make sure new materials billed as being more sustainable, such as bio-based or compostable plastics, really are. Providing incentives for reducing waste and increasing reusability of products and packaging. Wallis said examples could include a levy on single-use products like disposable plastic containers or legislation to deposit return programs for single-use containers. Requiring single-use plastics to contain 75 per cent recycled content. Requiring provinces to have enforceable legislation requiring companies to be both financially and operationally responsible for collecting and recycling the materials they put on the market. (Currently, only B.C. has such legislation). Declaring "problematic plastics (such as single-use plastics)" toxic under the Canadian Environmental Protection Act, as was done with microbeads. ​Wallis acknowledged that the target of 75 per cent recycled content for single-use plastics isn't based on scientific reasoning. It was simply set to be higher than voluntary targets proposed by other groups, because the environmental groups "think we should push for more aggressive targets than what other people might be." In order to meet that target, recycling systems may need to be changed to reduce contamination or single-use plastics items like disposable food containers and cutlery may need to be made of different kinds of plastics, she said. But she added that ambitious targets may help push forward the adoption of new technologies, such as processes that break plastics down into their chemical components so they can be reprocessed into new plastics. Bob Masterson, chief executive of the Chemistry Industry Association of Canada, said investments in new innovations like that kind of process, known as chemical recycling, will be essential to achieving industry's new waste reduction goals. A goal of zero plastic waste by 2030 for signatories. Global targets for reducing plastic pollution. A fund to support developing a "circular economy" with recycling and reuse in developing countries. "We appreciate the constructive discussions happening at various levels across the country on how we can reduce plastic waste and keep it from polluting the environment." She added that the federal government is working with provinces and territories to develop a comprehensive approach to address plastic waste from all sectors of the economy, and encouraged Canadians to continue sharing their ideas for how to address the challenge as part of the national consultation. A previous headline incorrectly stated that the plastic industry's goal is to have zero plastic packaging in landfills by 2030. In fact, the goal is to have zero plastic packaging in landfills by 2040, but by 2030, its goal is to make 100 per cent of packaging recyclable and recoverable, so it could all theoretically be diverted from landfills.